On her 18th birthday, Rachel Verrinder is endowed with the gift of an exceptional diamond, originally stolen from a Hindu temple in India. On the night of her birthday, some rather clumsy Indian jugglers suddenly arrive at the house to entertain the guests, and that night, Rachel's diamond is stolen from her. The indian jugglers are obviously suspected of the theft, but are thought to be not guilty as there are others in the house acting suspiciously, most notably Rachel herself. 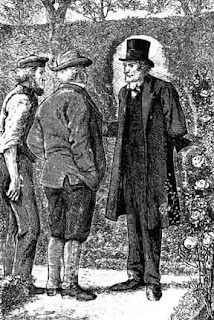 There then follows an investigation which reveals all kinds of adventures and dishonesties among Rachel's family, friends and suitors (among them Franklin Blake, the collector of the papers that make up the novel). 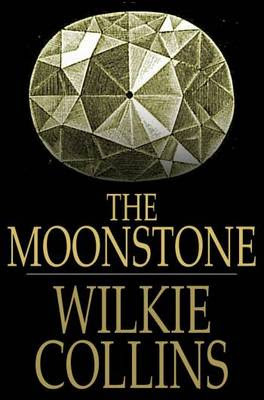 The story and its conclusion are spectacular, but it is also Wilkie Collins' sense of place and his ear for the nuances of voice among his cast of characters that really set this captivating novel apart. 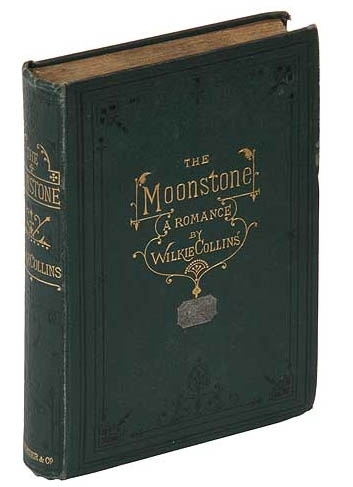 The Moonstone is a noteworthy novel for so many other reasons, too. The memorable characters are too numerous to mention. On a structural level, it has neither a third-nor first-person narrator, but the series of characters who recount the sections of the story that they know best. Its portrayal of the Indians was incredibly generous and liberal in the context of the still recent Indian Mutiny of 1857. Many have suggested that this novel single-handedly inaugurated the genre of the Detective Mystery and it certainly has many of the hallmarks of the genre yet to come. The principal criterion, though, must surely be a rivetting plot and The Moonstone certainly has that. William Wilkie Collins, or Wilkie as he was known to his friends and readers, was born in London's Marylebone where he lived more or less continuously for 65 years. Today he is best known for The Moonstone (1868), often regarded as the first true detective novel, and The Woman in White (1860), the archetypal sensation novel. During his lifetime, however, he wrote over thirty major books, well over a hundred articles, short stories and essays, and a dozen or more plays. 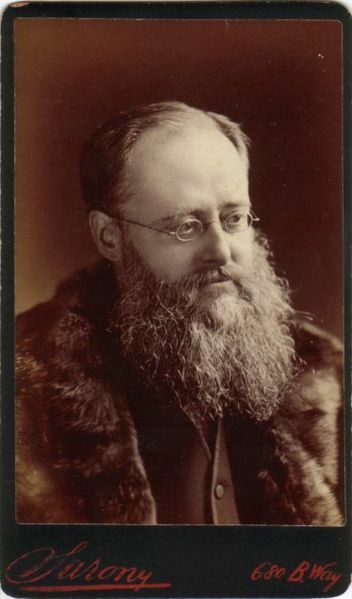 He lived an unconventional, Bohemian lifestyle, loved good food and wine to excess, wore flamboyant clothes, travelled abroad frequently, formed long-term relationships with two women but married neither, and took vast quantities of opium over many years to relieve the symptoms of ill health. Collins's circle of friends included many pre-eminent figures of the day. He knew the major writers, particularly Charles Dickens with whom he regularly collaborated, as well as a host of minor novelists. His friends and acquaintances included some of the foremost artists, playwrights, theatrical personalities, musicians, publishers, physicians and society figures of the time. Collins's unorthodox lifestyle reveals a cynical regard for the Victorian establishment. This view is reflected in his books together with a sense of humour and a profound understanding for many of the then prevailing social injustices. 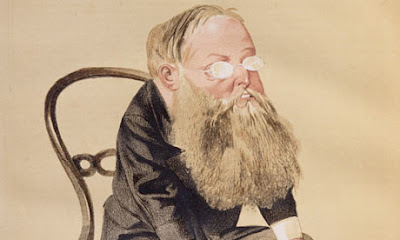 Despite his growing success, Collins's health began to decline during the 1850s and 1860s, suffering from what he always described as 'rheumatic gout' or 'neuralgia'. These affected his eyes with particular severity and he often needed the services of a secretary - provided either by Frank Beard, his doctor and lifelong friend, or Carrie Graves. He visited numerous physicians and tried various remedies including Turkish and electric baths, Health spas, hypnotism and quinine. Ultimately Beard prescribed opium in the form of laudanum as a pain-killer and sedative, but always for purely medical reasons. Over the years Collins developed an enormous tolerance and eventually took daily 'more laudanum than would have sufficed to kill a ship's crew or company of soldiers. During the 1880s, Wilkie's always delicate health continued to decline. Breathing difficulties due to heart problems became more common and he resorted to capsules of amyl nitrate and hypo-phosphate. In January 1889 he was involved in an accident and thrown from a cab by the force of the collision. There followed a severe of attack of bronchitis. He suffered a stroke on 30 June and with further complications died on 23 September.